"I truly hope that I can be in a position to help you." It could be said that Ying has been involved with Chinese Medicine since birth. Her father was a leading light in the Traditional Chinese Medicine (TCM) field with her mother a Chinese Pharmacist. It seemed only natural then that Ying would want to find her own career where she could help people. Prior to moving to the UK in 2009, Ying studied nursing at university level before making nursing her career profession. With massage being an integral and indeed an essential part of Chinese primary healthcare, the studies of this were indepth, varied and indeed put to great and effective use. Whilst continuing her nursing career (18 plus years as a staff nurse) and with Ying still deeply interested in the many advantages of Traditional Chinese Medicine, she studied at the Changchun Institute of Traditional Chinese Medicine where she majored and qualified in both Chinese Massage and Traditional Acupuncture. Being 100% conscientious and worried about the effects of Chinese "herbal" medicine on endangered species, Ying did not follow this path concentrating on the more "hands-on" approach of massage, acupuncture, cupping etc. Ying's preferred style of treatment and one that provides the quickest of results is a combination of Chinese Massage plus Acupuncture. For those patients that have a needle phobia, rest assured that Acupuncture is not mandatory and that Chinese Massage plus acupressure (finger pressure on the acupuncture medical points) is also extremely effective. 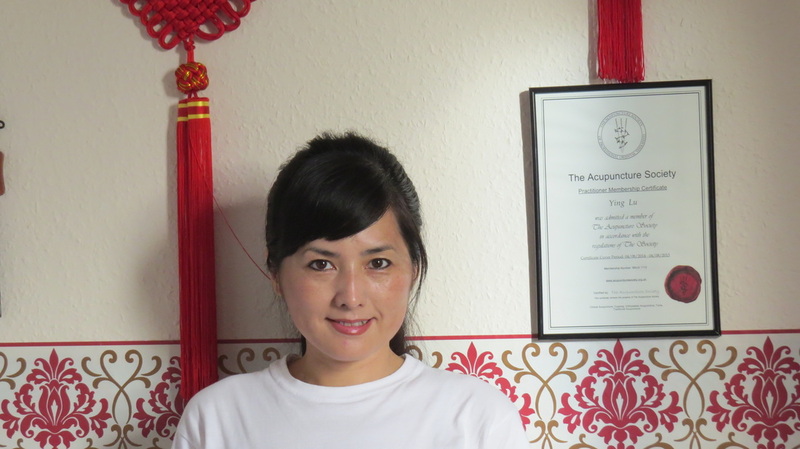 Ying recently returned to China to further her studies and update her knowledge and we are delighted to advise that she is now in Hawick, Scottish Borders where she will be pleased to help you. In the first instance, give her a call on 0745 486 7483 or should she be treating a patient and therefore unavailable, either hold on the line as the call will bounce to Bob, or call him direct on 0794 628 7478.